On the microcontroller program modules are running, which operate different kind of devices. Every device has its own independent identification (Device ID). 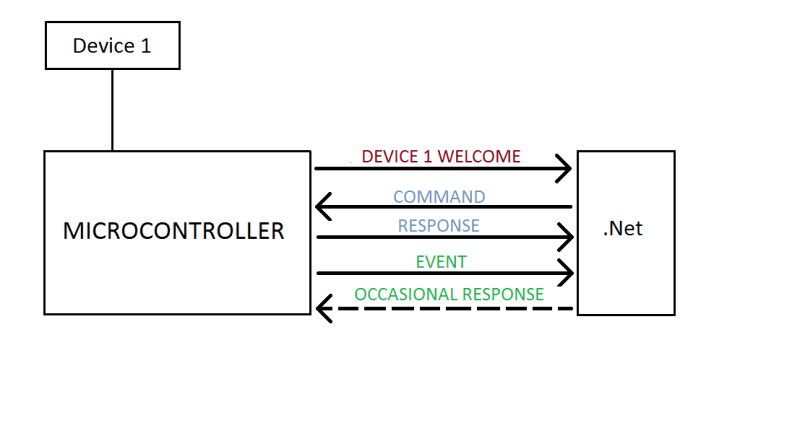 The program modul which controls the device is communicating through a serial port with the program which is developed in .NET. The program developed in .NET is running on the PC. As multiple devices can be found on a microcontoller, but typically, only one serial port is used for the communication with .NET, then we have to include in all the messages within the communication which device is concerned. This is what we use for Device ID.